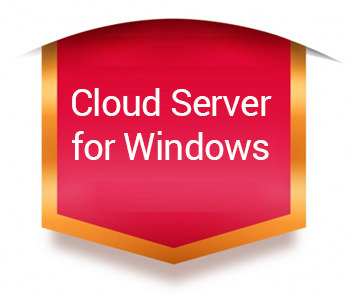 Cloud server is one of the well-known and advanced technology based on Virtual servers taking distributed resources from spreaded network of physical web servers. When it comes to Fedora Cloud server scalability is one of the greatest aspect of it based on the requirements of the business. This is an advanced form hosting designed on the fundamentals of shared storage and processing. Particularly Cloud computing powered environment is built by interconnecting several of servers with a vision to give necessary computing capabilities. Looking for Fedora Cloud server for your website! You are in a right place because we are one of the top provider of Cloud servers in India. Our Linux Cloud Server comes with Fedora operating system. Our Fedora Cloud server is built on VMWare technology. It enables our customers to run their application, websites, online portals in cloud based environment that can be easily scaled up in resources for example CPU, RAM, Storage space straight away. Get high performance Fedora Cloud server from HostingRaja for your website and leave traditional Linux VPS server behind. The two most important features of Fedora Linux Cloud servers are Flexibility and Scalability. It is clever enough of providing immediately scalability to fulfil changing needs of businesses. In our Fedora Linux Cloud server, you can without any difficulty schedule your backups. You have two option either automate backups and take backups manually based on your needs.You can easily schedule backups daily, weekly or monthly. Our powerful and most desired Linux based Cloud Server powered by KVM hypervisor and VMWare assures high stability, excellent performance and top grade security. One of the best features of Cloud environment is easy resources management. You have the ability to monitor, allocate required resources effortlessly. Our Fedora Cloud Server are well-known for best availability, after all failure of any of the virtually connected server does not create any impact on the performance of website. In that situation your website is automatically switched to another virtually connected server. Have you made your mind to move on a Fedora Cloud Server? If so, You are at a right place. Please contact our sales team today via live chat or call us toll-free- 1800-258-8000 to choose best suitable Fedora Cloud Server plans for your website. What is Fedora Cloud Server? Which type of server is the best choice for hosting the website dedicated or cloud? And give me some basic info about Fedora Cloud Server and why is the purpose of using them? Are Fedora Cloud Server is the best choice for hosting? Fedora is an operating system, It enables you to run their application, websites, online portals in the cloud-based environment which can be easily scaled up in resources. Dedicated and cloud server both are the right choice for hosting your website. In HostingRaja we offer both the servers, you can select the suitable servers based on your requirements. Our Linux Cloud Server comes along with Fedora operating system. Our Fedora Cloud server is built on VMWare technology. You will be offered with high-performance Fedora Cloud server from HostingRaja for your website. For more information contact our toll-free no 1800-258-8000. What is the basic difference between Fedora Cloud and Fedora Server? I am looking to move to Fedora cloud server, so I just need to know the difference between Fedora Cloud and Fedora Server? And will Fedora cloud server will be beneficial compared basic cloud servers?